drama* on the waterfront: Fairy Godfathers don’t do spells! ... or do they? Fairy Godmother extraordinaire Peach Blossom (aka Improvisor Jennifer O'Sullivan) takes drama on the waterfront on a tour and tells us all about her wily assistant, the Fairy Godfather Rose Petal. Was he trying to order his own wand? Do Fairy Godfathers do spells? Find out in Fairy Godfather, on now during the School Holidays in Circa Two. Welcome, welcome my dears! Welcome. Welcome to the home of famed Fairy Godmother, the very lovely and magical Peach Blossom -aka, me! It is so lovely to welcome you here, to my glittery lair. I do love guests. You may remember me from such fables as Cinderella, Sleeping Beauty and Pinnochio. I weave my magical way through many such tales, spreading goodwill and enchantment wherever I go with my magical wand. You should have seen the dire straights Cinderella was in before I turned up and gave her the once-over! And poor Sleeping Beauty - the girl could barely get out of bed BEFORE she pricked her finger on that spinning wheel! Anyhoo. Glad you could join me. Like I said I do love showing people around my home. Just keep an eye out for that adorable man, my personal assistant Rose Petal. 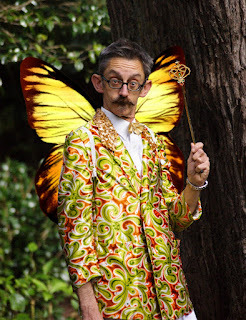 He’s a Fairy Godfather - means well, but as we all know, Fairy Godfathers don’t do spells! He’s more of a pleasant person to keep around, than a helpful Harry. He gets a bit cranky sometimes. Honestly, I suspect he may get a bit bored, what with being an assistant to someone with a magic wand! But really, it’s just so easy for me to wave my wand and get the washing done, or the lawn mowed. He has plenty of time to relax, and it is nice to have someone who can answer the door while I’m out visiting my god children. Though, would you believe it - the other day, I caught him on the phone pretending to be me! He said he was trying to order me a new wand as my current wand was ‘on the fritz’, or so he claimed... My wand has been fine, so I wonder what he was up to? He can’t have been getting his own one, because of course, as we all know, Fairy Godfathers don’t do spells! Yes yes, that painting on the wall is indeed beautiful. Gifted to me by Pinocchio after he became a real boy and got a real job. Made his father very proud, he did. I think Rose Petal wishes he had the connections I do with the people of the land of fairy tales. But it’s a bit hard for him to be of any use to people, since we all know Fairy Godfathers don’t do spells! 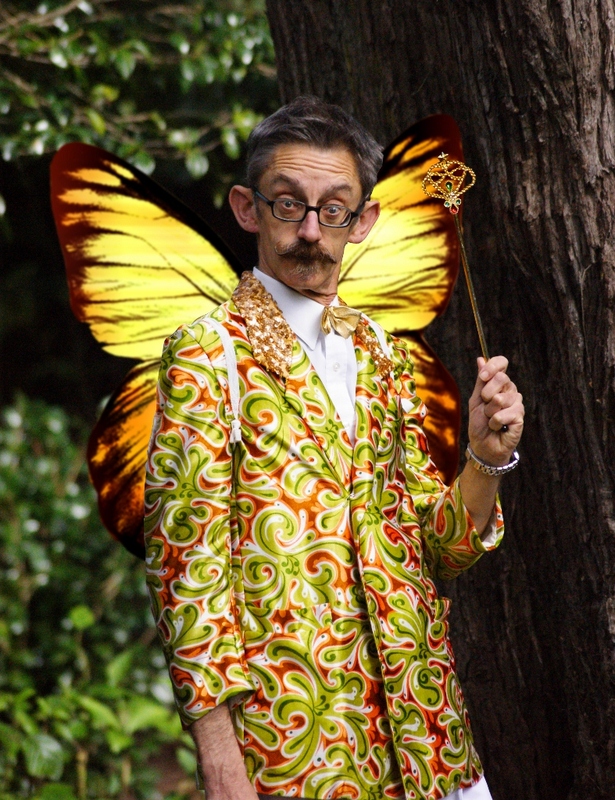 Fairy Godfather starts today and runs until 13 October in Circa Two, with shows at 11am and 1pm Monday through Friday and 11am Saturday. Tickets are just $10 per person. To book, call the Circa Box Office on 801-7992 or go online www.circa.co.nz.